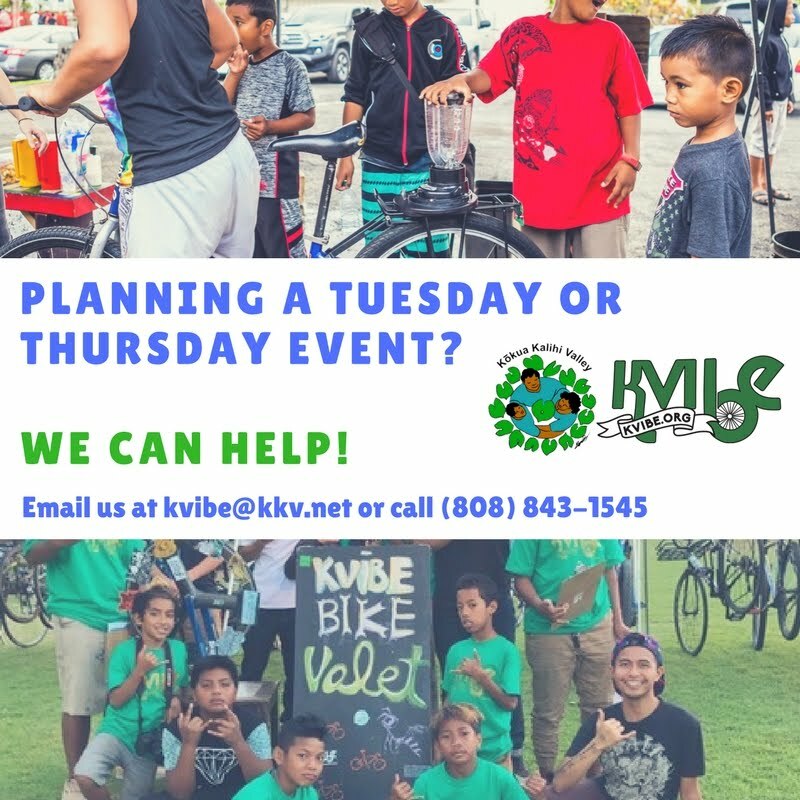 Kalihi Valley Instructional Bike Exchange (KVIBE): Just Around the Corner: Kalihi Stories at Kaluaopalena! 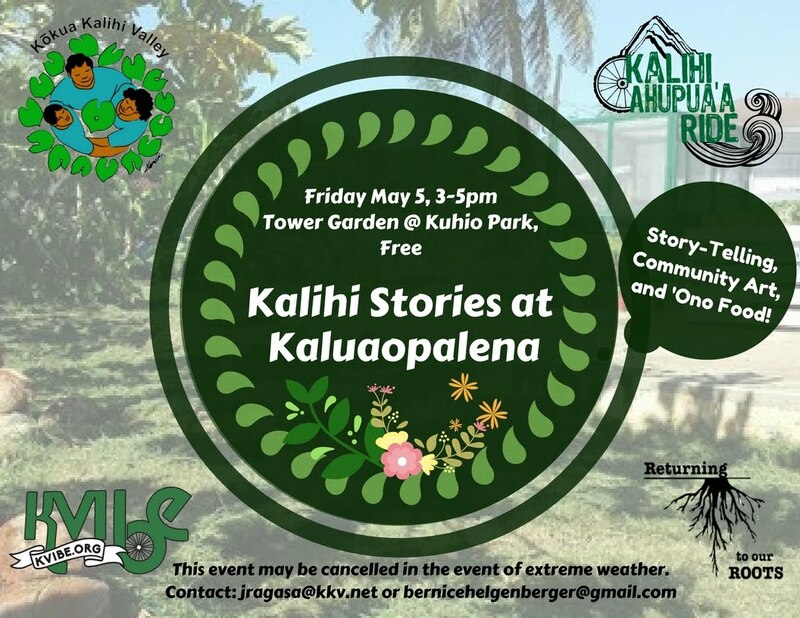 Just Around the Corner: Kalihi Stories at Kaluaopalena! KVIBE, Roots Cafe, and KKV's Tobacco Cessation Program "Breathe Kalihi" are excited to announce our joint event....Kalihi Stories at Kaluaopalena! Come down to the Towers at Kuhio Park Garden on Friday May 5 for an afternoon of story-telling, community art, and 'ono grindz. There will be fun for the entire family! We will have storytellers from Kalihi share contemporary and ancient mo'olelo about our ahupua'a. If you feel inspired to work on some art, we'll have a giant sheet of art paper for you to draw what you love about the stories you heard. Thanks to the guidance and support of Phil from our "Breathe Kalihi" program, KVIBE's Financial Literacy Program took part in a photo project where they captured scenes that depict the incredible wealth found in Kalihi. We encourage you to bring some cash because you can also purchase (by donation) these unique prints! Roots Cafe will also whip up some delicious garden-grown food and serve out freshly-pressed sugarcane juice! Come on down! 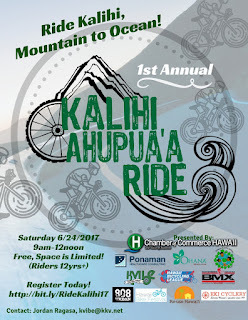 Celebrate Kalihi with us!